Today I wanted to show you a cute little note card that will breathe a little bit of spring into your life! This card uses the Gingham Gala 6" x 6" Designer Series Paper and the Butterfly Gala Bundle from the Occasions Catalog. 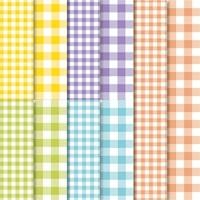 Cut a 3” x 4-1/2” piece of Gingham Gala 6” x 6” Designer Series Paper and adhere a 1/4” Lemon Lime stitched ribbon around it. 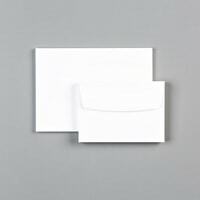 Adhere it to the front of a Whisper White note card. 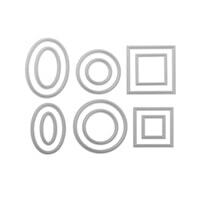 Cut out a circle using the Stitched Shapes Framelits Dies in Whisper White cardstock. 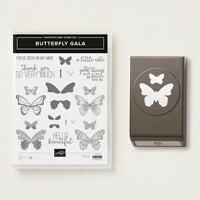 Stamp the “a little note” from the Butterfly Gala stamp set in Tuxedo Black Memento Ink. Layer it over a Lemon Lime circle cut out using the Starburst Punch. Adhere to the front of the note card using Stampin’ Dimensioals. Stamp the dual butterflies from the Butterfly Gala stamp set onto a piece of Whisper White cardstock in Tuxedo Black Memento Ink and color Stampin Write Markers. Punch the butterflies out with the Butterfly Duet Punch. Adhere to the stamped circle. Be sure to visit my Stampin' Up! Online Store and remember, for every $50 you spend you will get to choose a FREE item from the Sale-a-bration Brochure! I love the versatility of the Paper Pumpkin kits from Stampin' Up!. In December the kit was a cute 18-month calendar. While I love calendars, I wanted to change this up a bit and use the kit for monthly family birthday cards. Pictured above is the card I made for my brother who has a February birthday. I also made a calendar card for my granddaughter Angela for her January birthday. More New Sale-a-bration Items Added Today! I have some really exciting news to share with you. The Sale-a-bration party just got bigger today with a second release of FREE product! And, on March 1st, Stampin' Up! will release new coordinating products including framelits dies for the original Sale-a-bration sets along with a new punch which you can purchase. The free items from Sale-a-bration will be available to choose when you place an order through my Stampin' Up! Online Store. They are available free until the end of March unless they sell out sooner. Here is a video of a beautiful set you can earn now and then on March 1st you will be able to purchase the framelits dies to go with it! Paper Pumpkin is turning six and Stampin' Up! wants to celebrate with you! To celebrate this fun occasion and to thank everyone who supports Paper Pumpkin month after month, Stampin' Up! is offering a specially-designed March kit and a FREE STAMP SET. In March, you will receive an adorable kit, a special box, and most importantly TWO stamp sets instead of one with your Paper Pumpkin kit. So don't miss out and be sure to subscribe today. CLICK HERE to sign up for your March birthday kit. STAMP CAMP: Saturday Morning, 9th at 10:00 a.m.
Today I wanted to show you a cute project one of my downline made using the Hey Love stamp set from the Stampin' Up! Occasions Catalog. It is a cute treat holder for a Valentine sucker. Thank you so much, Debbie W. I have several grandkids that would love getting this. Be sure to check out my Stampin' Up! Online Store for this and other great products from the Occasions Catalog. Well, here in Central Indiana we survived the deep freeze and this morning we are shoveling out again from a snow fall that arrived overnight. Schools went on a 2-hour delay this morning which gave me time to finish one of my Sale-a-bration cards to share with you. I made using the stamp set Home to Roost which is one of the sets you can choose FREE during Sale-a-bration (now through March 31st while supplies last). I have seen so many darling cards using this set. Visit my Stampin' Up! Online Store today and purchase $50 in product to choose this cute set from the Sale-a-bration Brochure! STAMP CAMP: Saturday Morning, February 9th at 10:00 a.m.
TECHNIQUES CLASS: Tuesday Morning, February 26th at 10:00 a.m. and Tuesday Evening at 6:00 p.m.